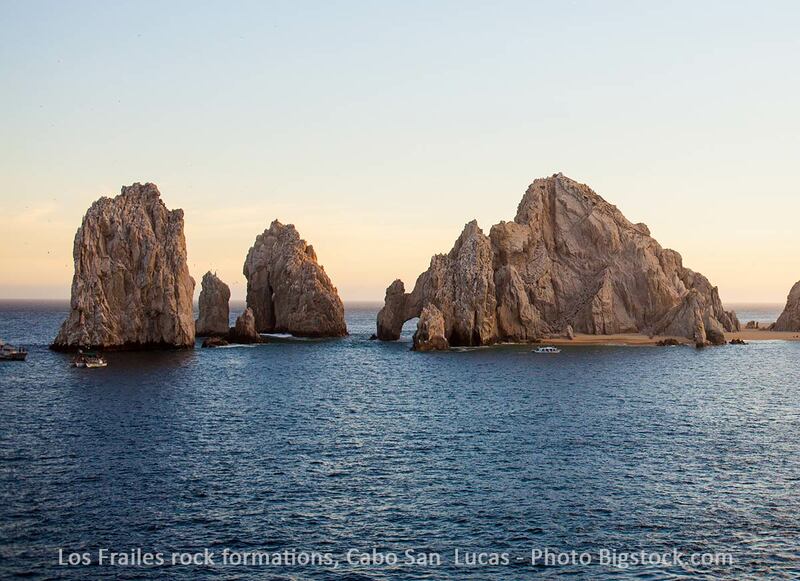 Below are various comments about the popular Cabo San Lucas landmark at Land’s End call Los Frailes or (The Friars, or Monks). El Arco, the great arch itself, is also the boundary marker non pareil. 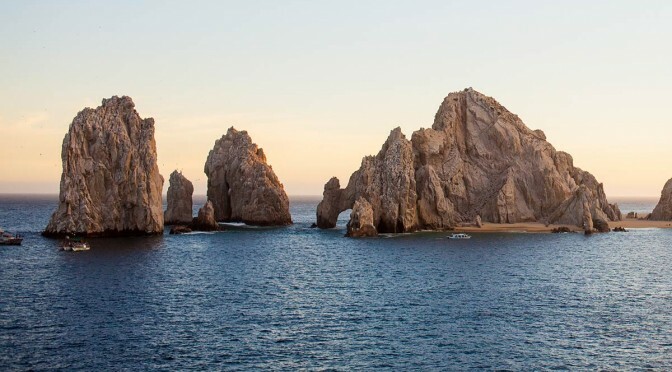 It divides land from sea–it is the last stretch of uninterrupted land reaching down from Alaska to the southern tip of the 800 mile long Baja California peninsula–sea from sky, and the Sea of Cortés from the Pacific Ocean. Beyond it is the passage of water that weaves in between what Steinbeck once called the Friars, the large rocky sentinels that guard the bay. 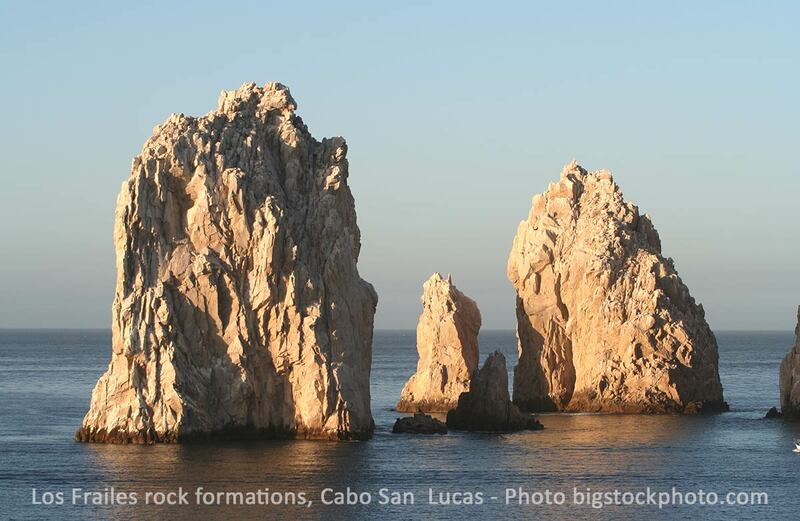 The largest of the three is called Cerro Blanco (white hill) by local fishermen, and is in effect Land’s End, although that designation is given to the entire promontory. 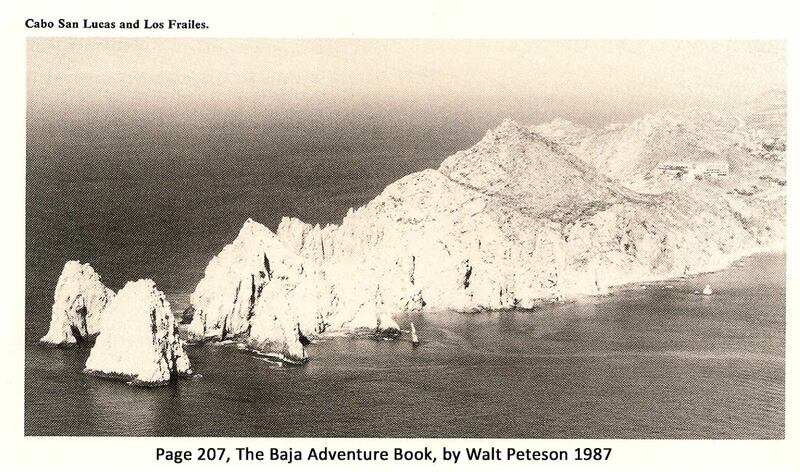 There are several text references and a to the Los Frailes rock formations as well as a legend on the San Lucas map in Walt Perterson’s 1987 “The Baja Adverture Book”. 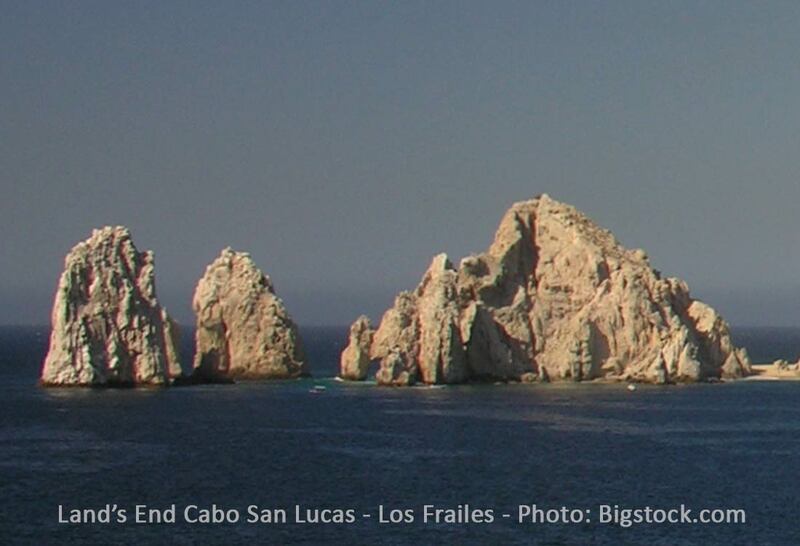 The photo above is captioned “Cabo San Lucas and Los Frailes”. Editor’s note: There are conflicting comments about the correct name. We are trying to clarify this information and will post an update when available.